Girona is a paradise for cyclists. 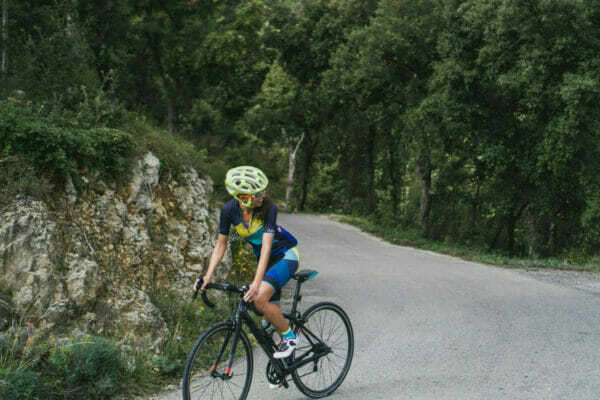 Known as a favourite training place and home for professional cyclists, Girona really does have everything: quiet roads, varied terrain, quality restaurants, a medieval city centre, cafès & a buzzing cycling culture. We run cycling tours for cyclists of all levels and budgets in Girona, the Costa Brava & the Pyrenees. Choose from our beautiful fleet of road, mountain, gravel, electric, hybrid & brompton bicycles. We run scheduled cycling tours in Girona throughout the year. Browse by level below to find your perfect itinerary. We can customise any tour for individuals, couples or groups – so let us know your preferred dates. We can also tailor the ride itinerary, support & accommodation to create your perfect package. 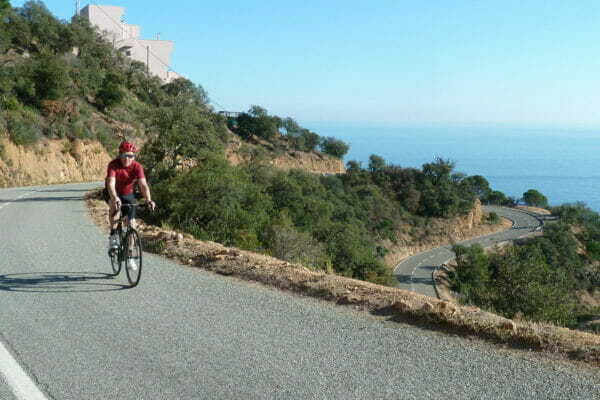 Ride from the Pyrenees to the Costa Brava on a fabulous family holiday! Contact Us For Your Perfect Trip! 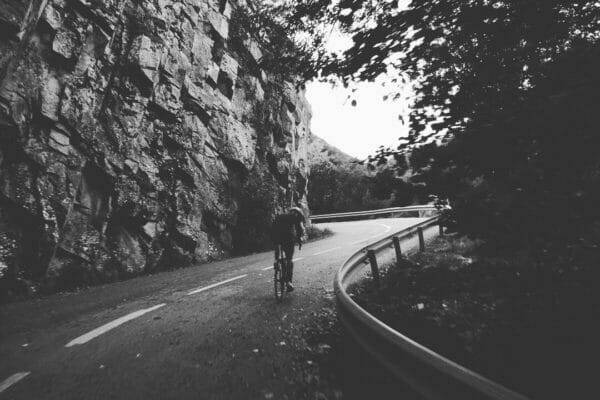 From airport transfers to private guided rides – choose from our Girona cycling services to create your perfect cycling holiday. Wine Tasting, City Tours & More! Perfect rest for you & your bike! Els Àngels is a favourite local climb located just a few kilometers from Girona city centre. A forgiving ascent from the Girona side covers 500 m of ascent over 12 km. From the Madremanya side riders face the same elevation over only 8 km of climbing. Rocacorba has a reputation as one of Girona’s toughest climbs. 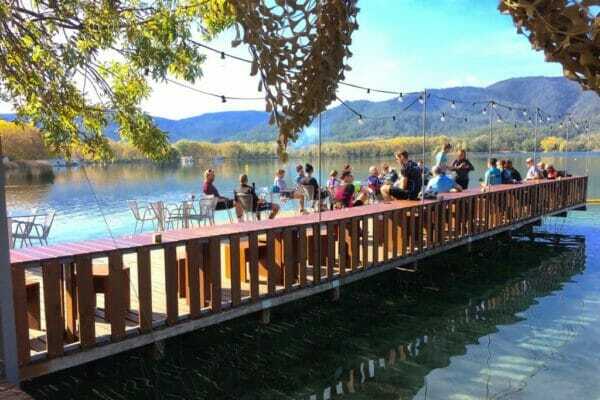 Located north of Girona and blissfully close to Banyoles Lake, Rocacorba is a bucket list climb. The road spans 13 km and the first few kilometers lull all Rocacorba newbies into a false sense of security. San Grau is the gateway to the Costa Brava. A demanding climb, San Grau begins just south of Llagostera its summit 10 km away. On the descent views of the Mediterranean onfold. Mare de Deu del Mont is an Eat Sleep Cycle favourite. 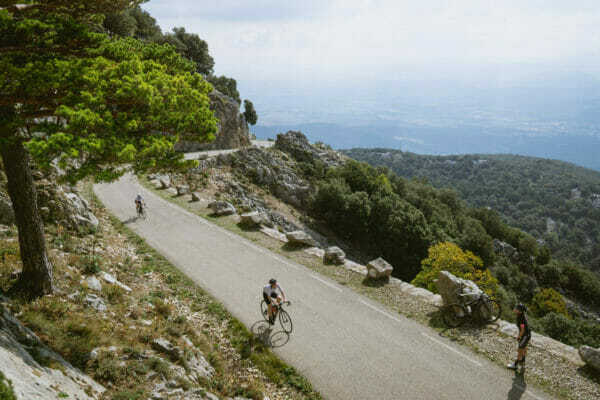 Known as the ‘gateway to the Pyrenees’ this stunning climb rises high above Girona and offers 360 degree views of the Costa Brava and the snow-capped Pyrenees. Sant Hilari Sacalm is a town located at the top of a 20 km climb. The road winds alongside a beautiful river maintaining pleasingly gentle gradients. From the top descend to Santa Colomer de Farners or, for the intrepid, keep on climbing to Arbucies for an epic day in the saddle. I've found few bike rental places in Girona online. After a look at ESC website, blog and reviews I knew I need to try them out. ESC is all about making you feel welcome and at home. Every group ride with them is an awesome adventure. If you prefer solo rides they have bike computers and rural routes ready for you too. Lee has a big smile practically glued to his face all the time, his wife Louise is the sweetest girl you can cycle with and Brian is an amusing, chatty and friendliest guy ever. They are all amazing people. Wouldn't go with anyone else!!! cyclebabe72Superb views, roads, climbing and great coffee shops!